Do most of us need larger knives? Re: Do most of us need larger knives? My main two EDCs are a CRK LG Inkosi (3.5" blade) and S110V Military. Last edited by MichaelScott on Sun Nov 11, 2018 1:48 pm, edited 1 time in total. 1. It is the only game in town. 2. You have to play. So, I maintain that although a larger folder is nice and perhaps more convenient, nearly all of us who carry a knife daily don’t really need one. We just want them for various reasons. How much do you need the carbon fiber on your Rhino, or filework on the One Eyed Jack? 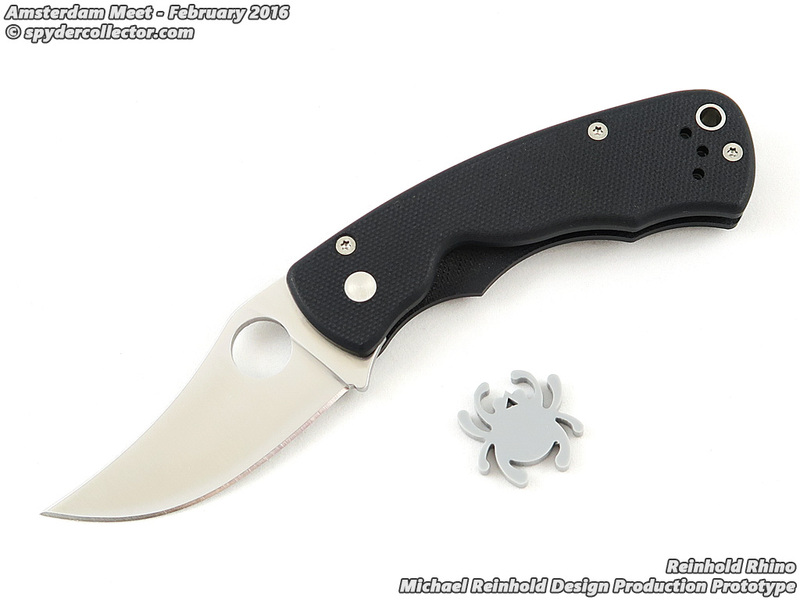 What do these knives let you accomplish that a Ladybug & Delica couldn't for half the price? I’m just talking about size. Your objections of materials and price are not relevant. Tucson Tom wrote: OK I'm convinced. Any knife with a blade longer than 2 inches should be made illegal. Any car with more than 4 cylinders also. All guns banned. No more concealed carry permits unless you can demonstrate a real need. No more frilly carbon fiber or titanium. No more meat either, people can eat beans. Heck, no more cars, people can walk. No reason to own more than one knife. See how much you can accomplish when you head down this road! Woah… just taking about knife sizes and needs. Legality, prohibition and all that are completely different subjects. Oh, didn't realize your preferences were off limits haha. So what's the point of this thread? No one is claiming they need a large knife, that's simply what they prefer. What do you gain by pointing that out? Arguing for the sake of arguing? The point is that I am interested in what people think about the utility of small knives vrs larger ones in most everyday situations. I am not interested in personal preferences for the purpose of this discussion (and, it’s a discussion on a discussion forum, not a declaration or demand) just about whether a small knife would serve in most all situations for many of us. As I said earlier, there are situations and tasks that require larger knives; I am excepting those for purposes of discussion. Seems like some are thinking I’m bashing large knives and or those who carry them. I’m not. I own a Para Military 2 so I understand the affection for larger knives. It was a simple question that has gone astray. I still think it's a matter of preference, not need. I prefer to carry and use larger blades. I find that small blades, for me, are not as convenient for what I cut. I will rarely carry a blade under 3" unless it's a very small knife like a Manbug, or Roadie as a back-up. A backup manbug and a larger blade? I agree. It’s a matter of preference. Would I prefer to open my mail with a Military or a Chaparral? Would I prefer to butcher out that deer with a Lil’ Native or a Millie? I was looking for the separation between need and preference and how this might influence a person’s every day needs. The smallest I carry is a Native 5, smallest found useful when I used to use knives at work, it actually worked very well at cutting cardboard, zip ties, pallet straps etc. I do prefer a longer blade however, something 3.5" to 4" to be ideal for me. I still believe the Military was the best work knife that I ever used for what I used to do however. That G10 Native 5 is one tough knife for those who want to carry a smaller blade, it's built like a tank. I don't think there is anyone here that only buys large knives or small knives, we all own a variety and appreciate what each model offers. Yes, I could get by without a 4.5" blade, and you could get by without file work. But that's what I like, and that's what you like...more power to both of us. This thread seems like much ado about nothing. I could go to a chef forum and point out that "You don't really need a chef knife, a paring knife can prep food just fine" which while technically true, it serves no purpose pointing that out. The Para 2 is a mini version of the Military. I wouldn't consider it big. Last edited by Vivi on Sun Nov 11, 2018 3:23 pm, edited 2 times in total. I agree about it being more about preference vs. need. I’ve carried a Ladybug daily for almost twenty years now and it’s always been adequate for whatever I needed to cut. I once skinned out a whitetail deer with nothing more than my Schrade 34OT Stockman just to see if it could be done. It worked surprisingly well, although I’ll admit a longer blade probably would have made the job easier. I like the P4 for everyday carry. Today I'm carrying a Caribbean because I'm in a humid salt water environment. Need and preference are not related. I don't think you will find that line. I need a knife for what I do. prefer a large blade as they are more convenient for me. I've batoned swiss army knives and opinels, just to see if I could. I could in theory butcher a cow with a manbug so I suppose I don't need anything bigger. In practice it can be done and you are right in supposing you don't need anything bigger but it would be a PITA job to do having butchered quite a few. When better tools are available, I say use them. OK I'm convinced. Any knife with a blade longer than 2 inches should be made illegal. Any car with more than 4 cylinders also. All guns banned. No more concealed carry permits unless you can demonstrate a real need. No more frilly carbon fiber or titanium. No more meat either, people can eat beans. Heck, no more cars, people can walk. No reason to own more than one knife. See how much you can accomplish when you head down this road! I'll be happy to take any of these items that you have no reason to own. I have more sharp objects then there will be things in my life to cut but I don't need nor want them. I collect knives because I am very concerned that the knife industry in America might vanish, so I'm almost single-handedly propping up the industry, along with others here as well. Sometimes it's hard, sometimes it's unpopular and sometimes you won't eat for several days. But it's a higher duty, and frankly an honor that we subscribe to. PM me for my shipping address. I think at the end of the day all you need is a Spyderco Bug. You can skin a bear, you can cut down trees and you can defend yourself against any attacker, man or beast. All the other knives are not just a waste, but an embarrassment for the entire human race. You know, I thought this was a legitimate question but it’s turned into a silly joke-fest.